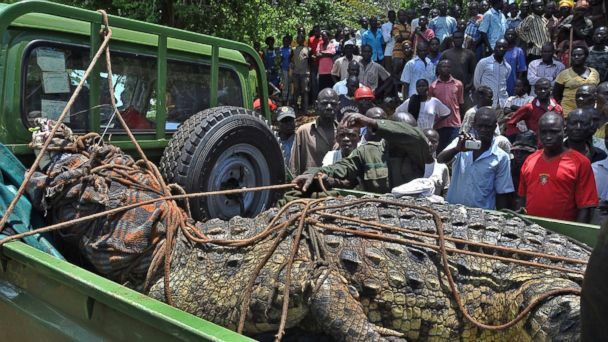 Authorities estimate the reptile is about 80-years-old and believe it's responsible for killing a local resident as well as mauling several other people, a Uganda Wildlife Authority officer told The New Vision. Wildlife officials used meat on a stick to bait the crocodile and catch it. It'll be transferred by truck to Murchison Falls National Park in Lolim, Uganda.